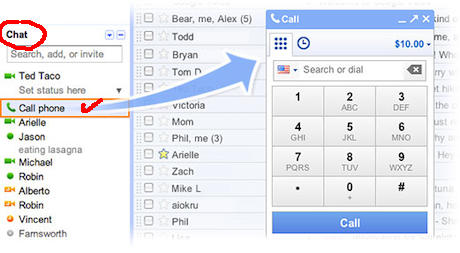 3-click on “Call phone” tab at the top of your chat list, A box will appear telling you about the service that US/Canada calls are free in 2010. 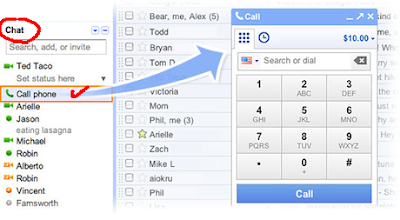 How about receiving international calls? To receive international phone calls in Gmail,you need a Google Voice account,If you already have a Google Voice account, it must use the same username as the Gmail account you wish to receive calls in. 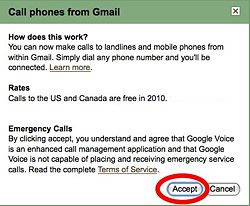 If you aren't a Google Voice user yet, you can upgrade for free if you are in the United States.